Watch the opening ceremony of Tottenham's new stadium on Sky Sports on Wednesday. Mauricio Pochettino's side will finally get the chance to play at the new Tottenham Hotspur Stadium for the first time on April 3 against Crystal Palace. And Sky Sports will have coverage of the whole day of build-up to the historic opening - with Sky Sports News reporting live from the Tottenham Hotspur Stadium from 7am, while you can keep up with everything happening ahead of the game via our digital platforms throughout the afternoon. Prior to kick-off (7.45pm) on Wednesday, Spurs will hold an opening ceremony for their state-of-the-art £1billion stadium and you can watch it all unfold live on Sky Sports. Tune into Sky Sports Premier League and Main Event from 7pm next Wednesday as Laura Woods and a host of guests will be pitchside for the opening ceremony. The ceremony will also be streamed on skysports.com and the Sky Sports app and across Sky Sports' Twitter, Facebook and YouTube accounts. You can then follow minute-by-minute coverage and in-game clips of the match on the Sky Sports app and skysports.com, with highlights available 15 minutes after the full-time whistle. Highlights of Spurs' long-awaited first game at their new ground will also be shown on Sky Sports Premier League and Main Event at 10pm. 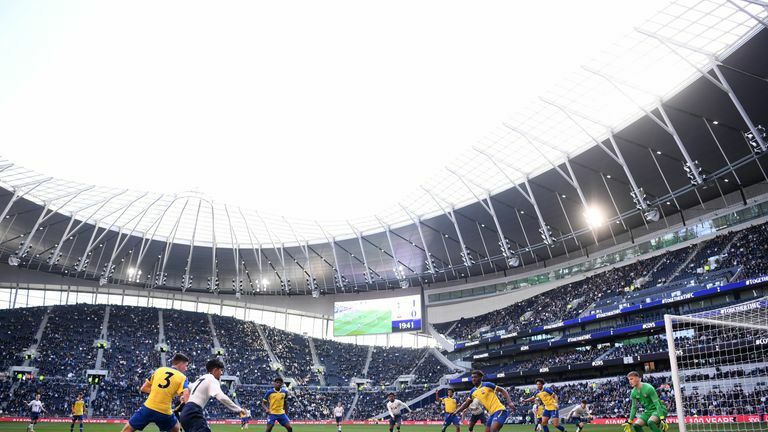 Tottenham are preparing to move into their new stadium - but history suggests it may take them some time to find their feet at their new ground. After the opening ceremony at the Tottenham Hotspur Stadium, attention will then turn to the Etihad Stadium as title challengers Manchester City face relegation-threatened Cardiff. Kick-off at the Etihad is at 7.45pm and you can watch all the action on Sky Sports Premier League and Main Event.